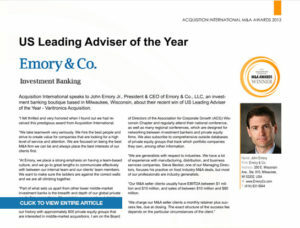 The publishers of Acquisition International Magazine have selected Emory & Co. as US Leading Adviser of the Year. 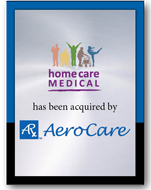 The award recognizes outstanding work done on the sale of the Varitronics division of Brady Corporation (NYSE: BRC) and is based on subscriber and individual voting along with research performed by Acquisition International staff. Acquisition International’s 2013 M&A Awards celebrate excellence and commemorate the achievements and hard work of all those involved in seeing a complex deal through to completion. The awards recognize investors, advisers and service providers pinpointed for their expertise in their specialized field.